My first green house kits are fun and educational for children age 8+ and you can learn how to be a gardener. It is the perfect kit for those who want to experience the botanical world from up close, looking after many plants all year round. 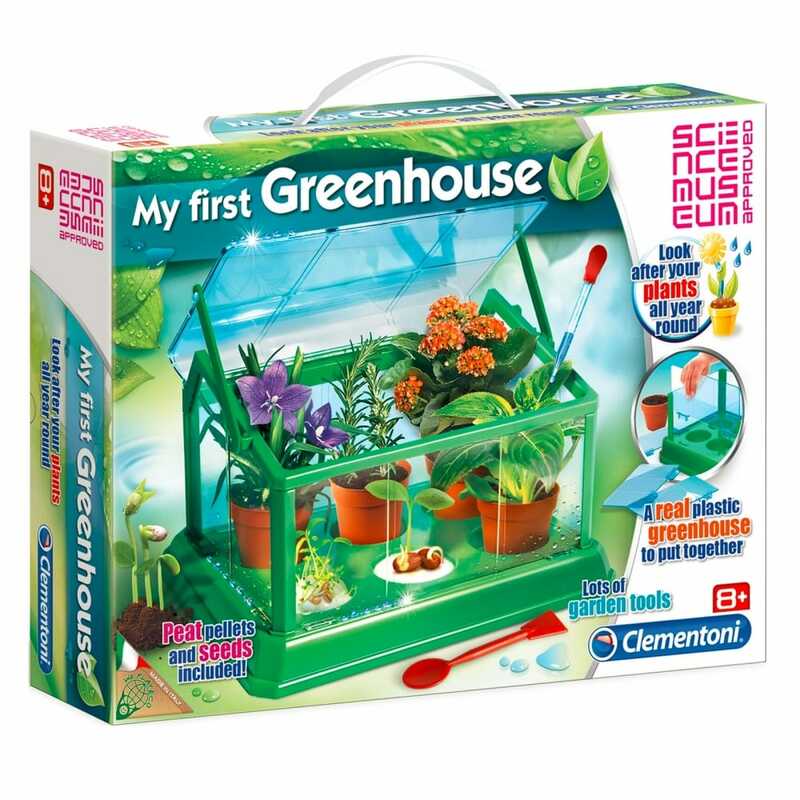 Complete with a composable transparent greenhouse, peat, seeds, pots and many other elements, this kit will allow you to become an experienced botanist and test your scientific skills! The illustrated manual will provide you with lots of information about plant growing factors and chlorophyll photosynthesis.